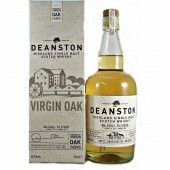 Deanston Whisky Distillery is located in the Eastern Highland region of Perthshire. The Deanston (deen-stun) distillery is 8 miles northwest of Stirling on the A84. Just outside the town of Doune in Perthshire on the banks of the River Teith, which rises in the nearby mountains of the Trossachs. This is the historic centre of Scotland, close to Stirling Castle, the Wallace Monument and Bannockburn. 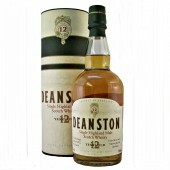 Deanston malt whisky house style is for a soft fruity creamy whisky. The buildings originally date back to 1785 and were designed by Richard Arkwright, the inventor of the spinning frame. The buildings originally operated as a cotton mill. The Vaulted warehouse was the weaving shed. 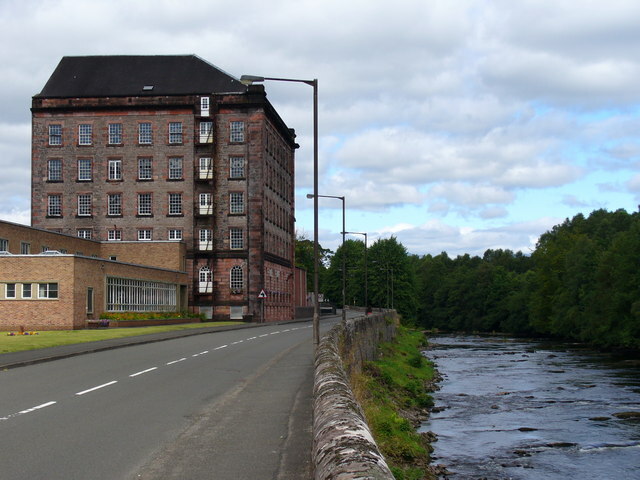 During 1965-66 the cotton mill was converted to a distillery by the Deanston Distillery Co Ltd. Formed by James Finlay & Co and Brodie Hepburn Ltd. The latter ran the Tullibardine Distillery. The conversion included taking out four internal floors to accommodate the stills and other equipment. The distillery takes advantage of the same requirement for an abundant supply of water and for a controlled temperature and humidity in its storage cellar as used in the manufacture of cotton. 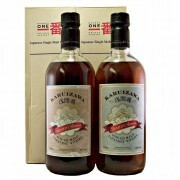 During 1971 the first malt is produced called Old Bannockburn. In 1972 the distillery was purchased by Invergordon Distillers and prospered during the 1970s boom. The distillery closed during 1982 at the time of the great whisky lake. Burn Stewart Distillers purchased Deanston in 1990 for £2.1 million, (£4.8 million at 2017 values) going back in to production the following year. They have won several export achievement and company-turnaround awards. An interesting feature is the use of water-powered turbines as the energy source, something that was a familiar sight to those working Scotland’s distilleries a century ago. C.L. Financial takes a 18% stake in Burn Stewart in 1999. Three years later they take control of the rest. 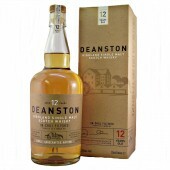 Home to the Deanston 12 year old Single Malt Scotch Whisky and Scottish Leader Blended Whisky, the offices of the distillery were upgraded substantially in 2006. Firstly to turn it into the “Spiritual” home of Scottish Leader and secondly to improve significantly the hospitality and presentation facilities available. During 2013 Burn Stewart distillers (along with Bunnahabhain and Tobermory Distilleries) is sold for £160 Million to South African Distell Group. 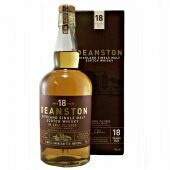 The Deanston distillery has two pairs of stills with quite narrow necks with ball-shaped bulges, the Lyne arms slope slightly upwards and are arranged to encourage a reflux action to deliver a purer lighter spirit. The enclosed, riverside warehouse’s, including one that lies beneath a garden, gives excellent conditions for ageing malt whisky. Converted into a distillery in 1965-66 by the Deanston Distillery Co Ltd. Location; Highland Region, Midlands district, Dourne. 11 ton traditional open cast iron mash tun. 8 stainless steel washbacks. Fermentation time of 80 hours. 2 pairs of pot stills narrow necks with Boil balls, the Lyne arms slope slightly upwards. 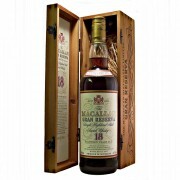 Matured in American oak bourbon casks also some sherry butts. The Deanston Whisky Distillery visitors centre is well worth a visit and regularly run guided tours of the distillery throughout the course of the day. A number of the tours include tasting sessions where you can sample some of the drams they have to offer.